Nurture a spirit of gratitude in your students. Will you be doing some Thanksgiving writing over the next few days? 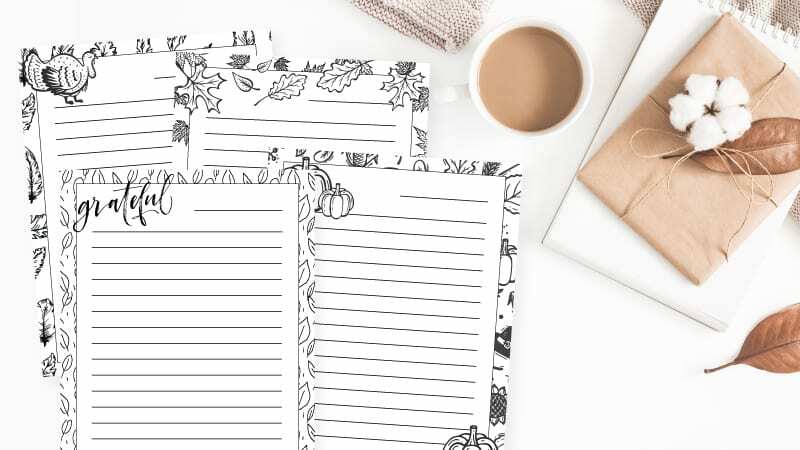 Then you need our free Thanksgiving writing paper! Plus get our list of 15 gratitude writing prompts below! 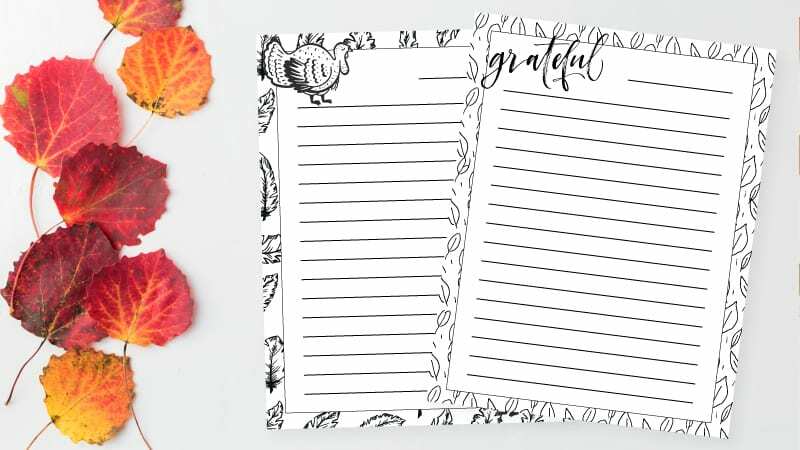 Just submit your email to get your free Thanksgiving writing paper, featuring leaves, pumpkins, turkeys, and a beautiful design featuring the word grateful. 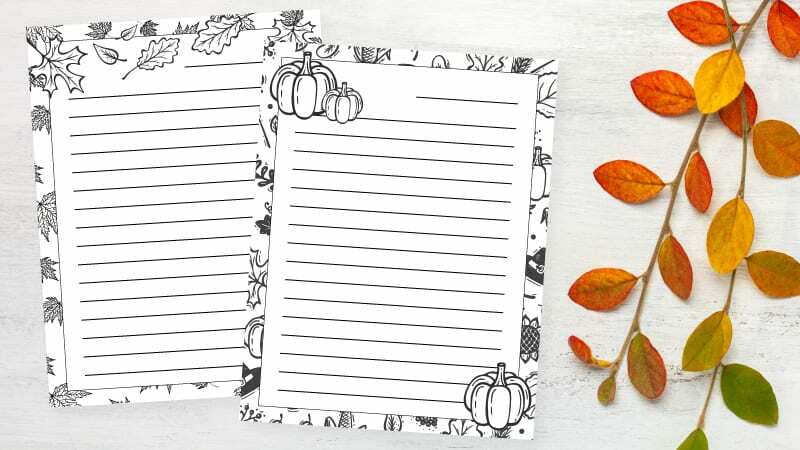 Print it on white paper or use pretty fall colors to add to the festive feel. What about your family or friends are you most grateful for? Why? What book are you most grateful for having read? What are three of your very favorite things to do? Why do you like to do them? What is something special about you that others might not know? What is the most beautiful thing you have ever seen outdoors? What is the most beautiful thing you have ever seen indoors? Share something another person currently does or once did for you for which you are grateful. It could be something they do every day, once in a while, or did only once. What are some ways that your body or mind is strong? What from the school year so far are you most proud of? What is your favorite food to eat during Thanksgiving or another family celebration? What is something you hope to remember about your life right now when you are a grown-up? What is something from your past that you are thankful for? What are you grateful for about your school?